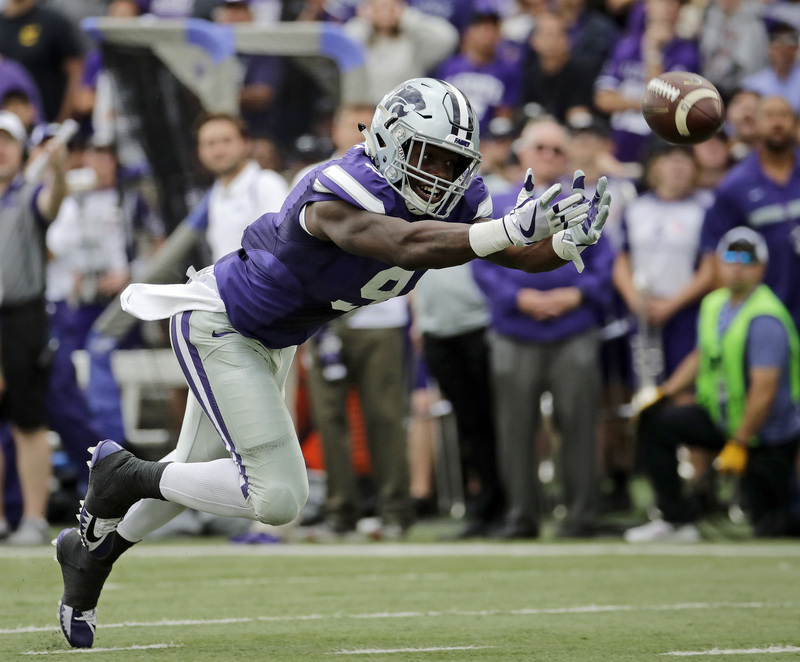 Kansas State’s first of two opportunities to really turn its season around was as uninspiring as it could have been, a 26-6 loss to No. 6 TCU. Let’s take a look at where the Wildcats’ program is at, both on the field and off of it, as the 2017 campaign reaches a crossroads. 1. Much better effort from the defense, especially the front seven. A week ago, K-State got torched by a freshman quarterback. Yesterday, the Wildcats did a very nice job against a solid offense overall, and the best rushing offense in the Big 12. TCU totaled only 98 yards on the ground. It was nice to see athleticism get the nod over experience (See: A.J. Parker), and the move paid off. We’ll see if the step forward can carry into next week against an even better offense. 2. The drop rate from receivers is finally falling. Receivers dropping passes seems like a problem from centuries ago at this point. The current status of the quarterback position and the continued struggles in the run game have both taken center stage instead. But it’s worth noting that K-State has gotten better at holding onto the ball in the last couple weeks. Isaiah Zuber had a nice game against the Horned Frogs. Byron Pringle, the most criticized wide-out, made a couple good grabs as well. The Wildcats’ backup quarterbacks need all the help they can get. 3. The pressure is (mostly) off for K-State’s players, even if it’s growing for the coaches. This one cuts both ways. K-State is not winning the Big 12. K-State is not going to a major bowl game. Those goals are out the window, plain and simple. The bright side is this — The Wildcats remain a very young team with a lot of potential for the future. The vast majority of K-State’s two-deep is expected to return next season. If nothing else, maybe the next couple months will help build toward a strong 2018. That’s not what anyone wants to hear right now, because last season was supposed to build toward a strong 2017, but it’s still true. 1. As long as Jesse Ertz is out, frustration with quarterback usage is going to be a “thing”. Alex Delton looked solid against Texas last week, but he was unable to build on that performance against TCU. Bill Snyder placed a lot of the blame on himself for the offense’s struggles. In the end, though, Delton just looked like your average second-string quarterback, and not the potential superstar some thought he could be a couple years ago. Granted, it was his first start, and I’m not saying he can’t ever get there. He just has a lot way to go. In other news, Snyder doesn’t seem close to giving Skylar Thompson a shot, based on his postgame press conference. Some fans don’t like that, and if Delton doesn’t improve, that noise will get louder. 2. The ground game has struggled long enough to wonder if K-State will ever find it this season. It’s worth noting that TCU has the Big 12’s best rush defense. I want to make sure that statistic is mentioned. So, it wasn’t realistic to expect Alex Barnes, Justin Silmon or anyone else to have a career day against the Horned Frogs. But the overall confidence in K-State’s ground game reached a new low on Saturday. Barnes and Silmon have combined for 404 yards after six games. That just won’t get it done. Is it them? The offensive line? Both? Regardless of the answer, it’s officially a problem. 3. Less excitement about the present leads to more uncertainty about the future. When K-State has been really good in the last 6-7 years, it’s been easy to completely ignore the “How long do we have with Bill?” and “What are we gonna do next?” questions. Fans have done what they should be doing – figuratively put their fingers in their ears and enjoyed the moment. The “moment” right now is a frustrating 3-3 start. That makes it harder to ignore those big-picture thoughts. If the Wildcats can’t turn things around, prepare for those whispers to become shouts by the time the season ends.